There is no shortage of fly fishing gear in the market today. Indeed, fly fishing’s increasing popularity has created an explosion of gear available over the past decade. This explosion of fly fishing gear that is available, however, has a dark side. For anglers new to the sport, the sheer assortment of gear available, the fancy terminology that is frequently used and the often steep prices anglers have to pay for good gear has all conspired to make selecting the right fly fishing gear for your needs a rather difficult one. It's my hope that anyone who visits this section of Big Sky Fishing in search of fly fishing gear will come away with a good idea of what gear is needed and why. Click on any of the links or images for more buying guides and more information about each piece of gear shown below. Fly Rods - Without a fly rod, it's tough to fish. 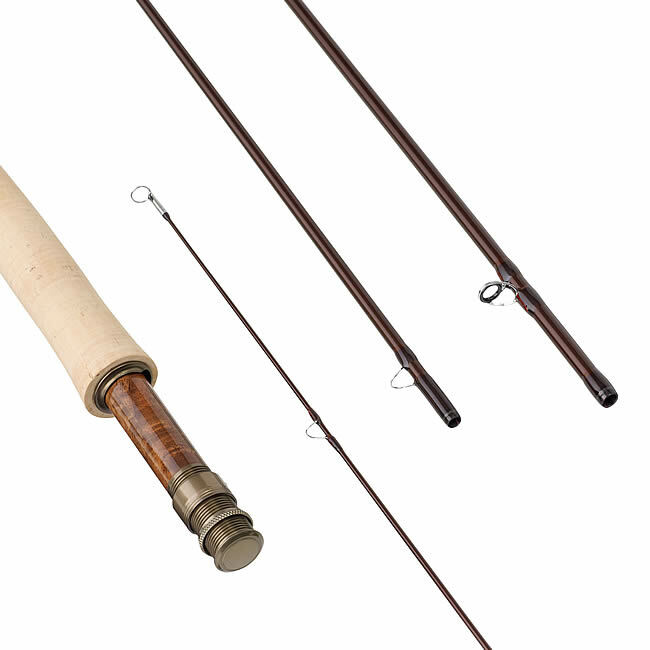 In our buyers guide, we'll go over most anything you wanted to know about fly rods, along with tips on what kind to get. 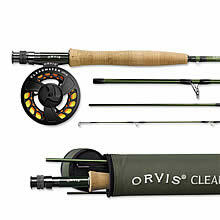 Fly Rod Combos - For new anglers, fly rod combos are an excellent way to get quality gear and save money. 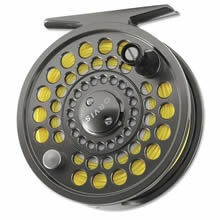 Fly Reels - A fly reel does more than just hold line. True, it's not the most important piece of equipment you have. But it's not trivial, either. 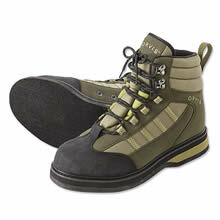 Wading Boots - Yes, wading boots are more imporant than waders. Indeed, I'd say they are second only to the fly rod in terms of importance. 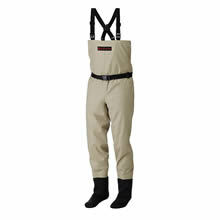 Waders - Staying warm and dry with waders. This guide shows the different types, and answers the question if you even need them. 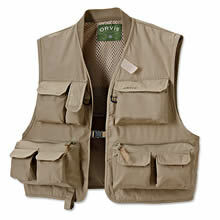 Fly Fishing Vests - You can survive without a fly fishing vest. But if you want to keep your gear organized and protected, a vest is an important and often forgotten about piece of equipment. 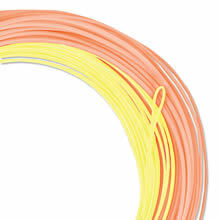 Fly Lines - Few things on this planet are more confusing to new anglers than fly lines. So review our buyers guide to learn more about fly lines, what kind to get and more. Fly Boxes - With flies come fly boxes. Fly boxes keep your flies organized. 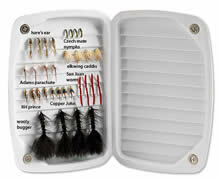 Learn more about what type of fly boxes there are and what kind to get. 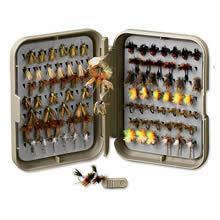 Fly Assortments - What to get...and what not to get, when purchasing a fly assortment. 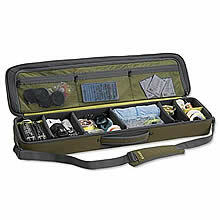 Fly Fishing Luggage - Protect and organize your gear while traveling between fishing holes. Waterproof Phone Cases for Fishing - How to protect your phone while chasing trout in Montana. How to Select a Fly Rod - A complete guide on how to select a fly rod for your fly fishing needs. Essential Fly Fishing Accessories Guide for Beginners - What accessories new anglers will want - and not want - when they first go fly fishing. How to Protect Your Smartphone While Fishing - Don't let Montana destroy your phone. Fly Fishing Clothing For Montana - What clothing angler's visiting Montana might want to bring - and what clothing they might best leave at home.